SPACE SAVING: The Air Walker Glider folds and gildes with its built in transportation wheels for storage, so it is excellent for small or limited spaces, and easily stored in a closet. VERSATILITY: You can simulate a slow walk and work up to a full run with complete freedom. Ergonomic moving handlebars let you tone and condition your entire body or if you are looking for a lower body workout only simply use the center handlebars for stability. 180 FREE-MOTION: Get 180 degrees of free range of motion. Activate, tone and strengthen the glutes and legs with moving the legs not only moving back and forth but side to side! RESULTS: LCD monitors count, time, calories and total count. 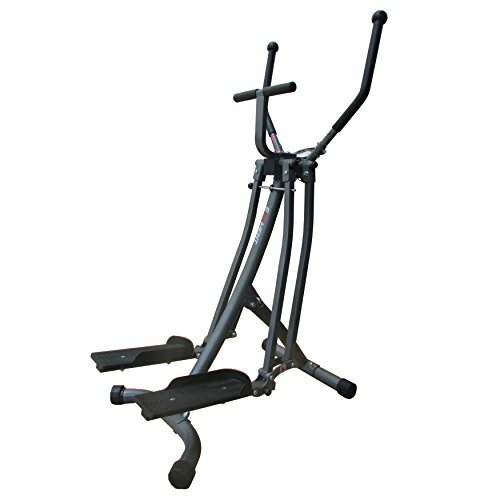 Using the EFitment Air Walker Glider will provide an effective workout with real results, and you might just feel like you are walking on air.